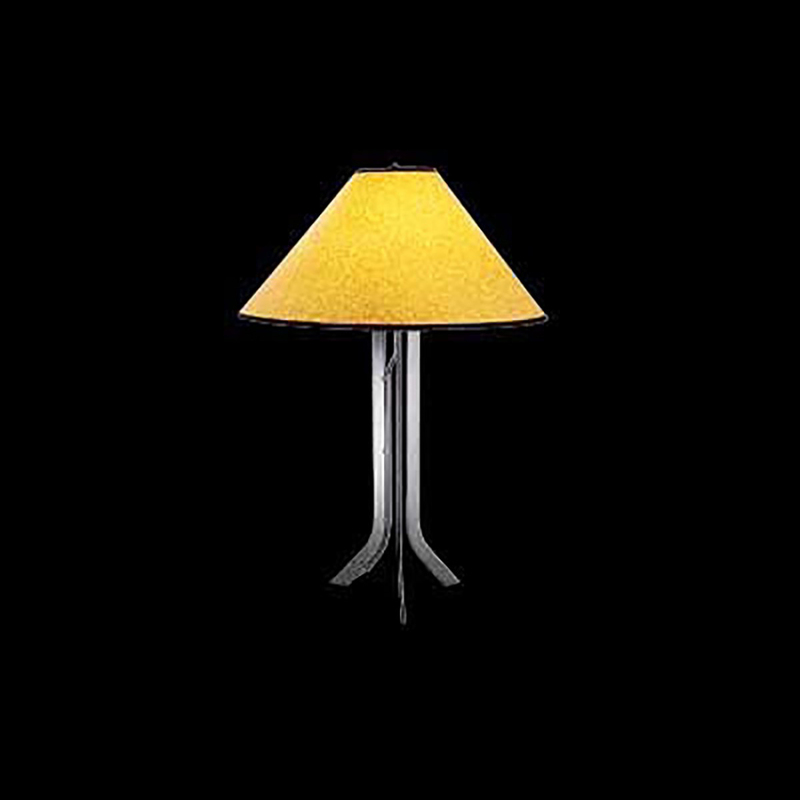 Table Lamps: Our Mission Style Table Lamp has an elegant vintage design. A perfect feature for a night stand, corner table or desk. Mission Table Lamp in wrought iron with amber paper shade. 28 inches h x 20 inches in diameter. 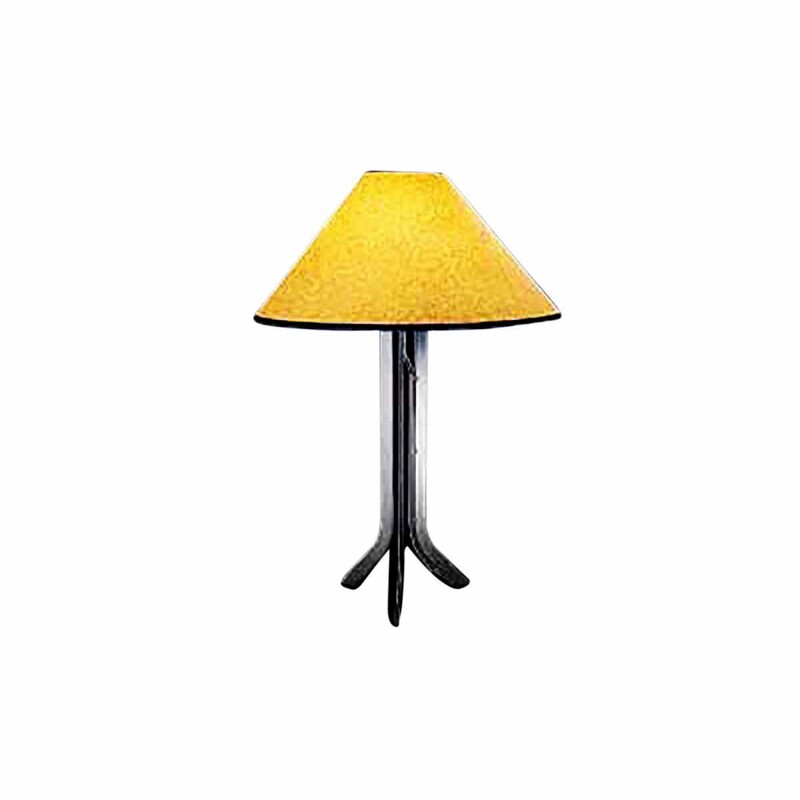 A beautiful, affordable and practical lamp that caters all your basic lighting needs is -- the exquisite table lamp made of wrought iron. 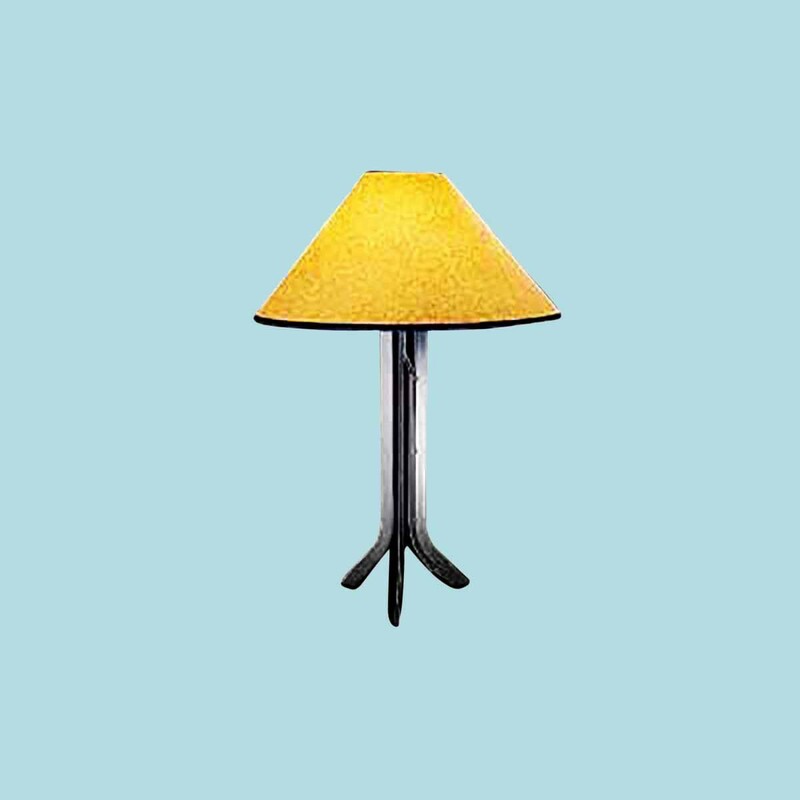 This lamp measures 28'H and 20' Dia. And is perfect for placing in bedroom, living room or office. It comes with an amber colored paper shade and creates the classic look as the color yellow catches the eye of anyone who is walking from the side. It features durable finish, timeless linen fabric shade and a perfect choice to add interest for a corner desk, night stand or desk. The wrought iron undeniably brings personalized and polished look, where your interior decorating sense is sure to be admired by your friends and family.